» Get Your Vote On! The Meme Contest has come to a close, and it's now time to vote for your favourites here! There are some incredible entries, and the IcePets community came forward with so much creativity. Speaking of voting, Member of the Month voting for this month is ending soon! Wherever you are in Terrafrost, don't forget to head to the nearest voting booth and cast your vote for Member of the Month (MOTM for short)! Terrafrostians can vote for up to three Users to win 100,000 IcePoints and the Member of the Month Avatar. - You may vote for up to three Users per month. - Send your nominations here! You can submit your vote any time during the month, and have until the end of the month to do so. Winners will be announced on the first of next month! » Angelic Cobron Flying In! 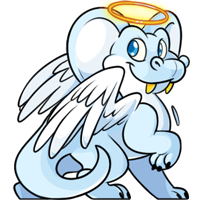 Every Terrafrostian has at least one wonderful Cobron friend in their life -- now, the Cobron community can show off their angelic side! The Angelic Cobron Morphing Potion, funded by @POURRITURE, will now be stocking in the Snow Jar Igloo. Get one for yourself or for your sweetest Cobron buddy! If you don't want to wait to restock one, you can purchase the Morphing Potion from the I.C.E Shop until the end of the month for 500 IceCash (450 IceCash for Gold Account Users)! This weeks raffle was won by EbonyInferno. Novitaria and the Jakrit Hunt are coming to an end. The Jakrit and Makoat communities have had a blast hiding Noviteggs across Terrafrost for everyone to find, and everyone is full to bursting with colourful Novitaria treats. Now, as the weather has warmed in the northern hemisphere and the ice has melted through the Talytil Lakes, Terrafrostians are turning to planting summer crops and planning for future events or preparing their Picnic Blankets and Holiday Swimsuits for summer fun. If you have been itching to spend some of those Novitaria Credits you can now find the Pastel Armour, Pastel Flower Coin, Novitaria Cupcake, Pastel Ice Cube Set and the Novitaria Jakrit Plushie in the Novitaria Shop. However, if you're not quite ready for the Novitaria fun to end, you'll still be able to find Five Random Noviteggs in the I.C.E. Shop for 250 IceCash (225 for Gold Account) and the Randomly Picked Jakrit Morphing Potion in the Novitaria Store and the I.C.E. Shop for 300 Novitaria Credits or 500 IceCash (450 for Gold Account) respectively until the end of the month. Any straggling Noviteggs can be found until 11:59:59 PM (IcePets Time) so keep your eyes peeled and collect any last-minute Prizes and Novitaria Credits until the Festival ends for the year! Novitaria is drawing to a close! There was a flurry of activity from the Jakrit and Makoat community as the last of the Noviteggs were hidden -- they will be showing up more often in NPC Shops and as Quest Prizes, so get them while you can before the season ends April 20th, 23:59:59 (IcePets time)! If you want to join in the Meme Contest remember to submit your memes to IcePrincess soon! The contest ends April 23rd, 23:59:59 (IcePets time). With a stir, shake, and bake, the Slice of Bread, Slice of Bread with Egg, Toast, and Toast with Egg have been revamped! There are new flavours as well, Toast with Grape Jelly, Toast with Strawberry Jelly, and Toast with Peanut Butter. Find them in the Food Mall, and note that they will be asked for in the Space Quest in one week. The Springtime Surprise Basket is making its way into NPC Shops and Quest rewards again this year! The shopkeepers, quest givers, and Jakrits have worked hard putting together more due to their popularity. There should be enough supplies for two weeks. Be sure to grab them while you can! Noviteggs are everywhere! If you're having trouble collecting some you can now find the Five Random Noviteggs in the I.C.E Shop for 250 Ice Cash (225 Ice Cash for Gold Account Users). Randomly Picked Jakrit Morphing Potions are also hopping into the I.C.E Shop and Novitaria Store for 500 Ice Cash (450 Ice Cash for Gold Account Users) and 300 Novitaria Credits respectively. They are also visiting Gabrielle at the Snow Jar Igoo. Both items will disappear again until next year after Novitaria ends April 20th, 23:59:59 (IcePets time). Introducing IcePets' first Meme Contest! If you are a fan of memes then now is your time to shine! Your fellow Terrafrostians are anxious to see what creative memes you can come up with. From any classic to a completely original meme, we want to see what you have to offer. You can see an example of a meme below! 1. Work must be entirely your own. 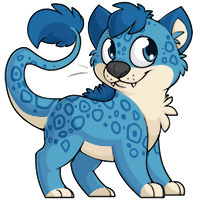 Please do not trace original artwork or use Google images, but image manipulation of IcePets art to create graphics is acceptable. 2. One entry per User. 3. Feel free to get creative! 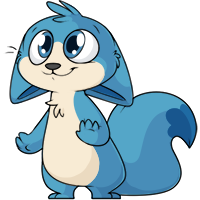 You can use existing IcePets art or draw your own, but it must be a meme or parody of a meme! 4. Art must be kept PG-13.For example, you may show two Pets holding hands or kissing, but not overt innuendo; you may show blood, weapons, or mild violence, but not gore or dismembered limbs, etc. All entries submitted must be considered appropriate under the Terms and Conditions of IcePets. 5. Keep your entries private and please don't share with other Users! 6. Staff reserve the right to dismiss a submission if it is hard to view or appears no work was involved. 7. Your entry must be uploaded and sent to IcePrincess by April 23rd, 23:59:59 (IcePets time) It does not matter where or how you upload it. Users will vote for their favorite submission! Three new Items have been permanently added to the I.C.E Shop today! You can find the Rose I.C.E Avatar, Moon I.C.E Avatar, and the Coffee I.C.E Avatar. These beautiful Avatars can be purchased for 500 IceCash each (450 IceCash for Gold Account Users). They will appear in the Custom Avatar section of your collection, and will not increase your total number of Secret Avatars needed or acquired. And finally, we would like to mention that all Novitaria festivities will end April 20th, 23:59:59 (IcePets time). The Jakrits have worked out a deal with the NPC shopkeepers and quest givers! You can now restock Noviteggs in all NPC Shops with the exceptions of Golden Touch and Snow Jar Igloo. Tackle some Quests for a chance to earn even more. The Makoats have been pleasantly surprised at how well everyone is doing finding their stockpiles. Keep up the good work! Clunk clunk the sound of the Halipar Jungle Novitegg Ice Cube and Misty Isle Novitegg Ice Cube falling out of the Ice Box can be heard all across Terrafrost. Hurry over today to add these new beauties to your collection before they melt!